It’s time to take your business to the next level and give your food product a professional level display with the wonderful design and packaging it deserves. At Business Image Printing, we give you creative control over how your custom printed food display boxes will look. Tell us how you want your food product displayed and what kind of style you want, and we can make your idea come into fruition. With our knowledge and experience in handling display boxes, we can boast a large variety of different styles and designs that has become staples in food display packaging. We can provide you the top-quality custom printed food display boxes designed to match your personal taste. 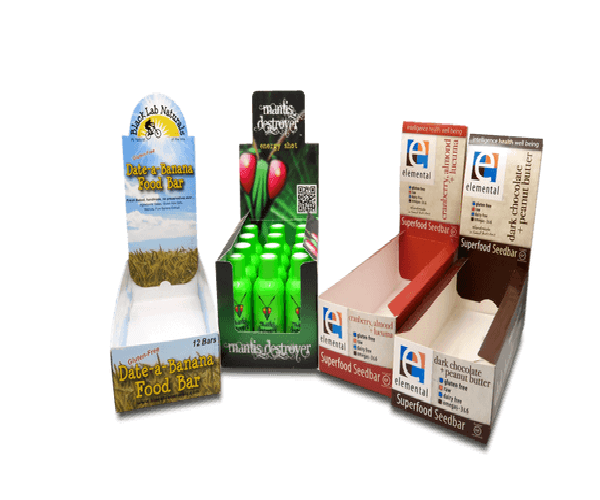 It is important that your custom printed food display boxes can compete with other products and with the addition of professionally-made custom printed boxes to go with your products, we are certain that your customers will know to choose your food product. We ensure you that our printing services will produce an optimum final product, emphasizing your brand. At the same time, we also offers competitive prices throughout all our product line. We try to make that possible in an easy process with competitive pricing by showcasing our expertise, experience, and state of the art technology available to our clients. You can be certain that Business Image Printing is readily equipped to elevate your product to the next level. Please contact us for more information.